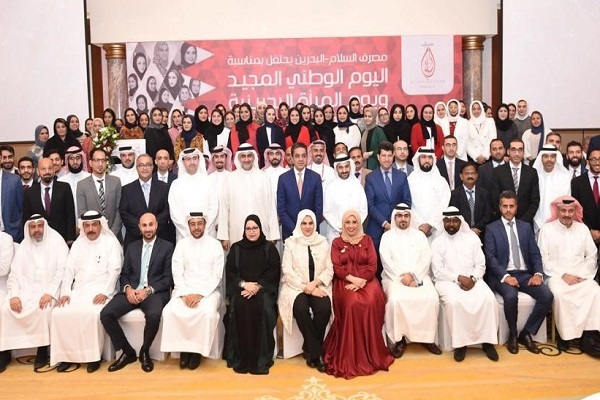 Al Salam Bank-Bahrain, one of the pioneering shari’a-compliant banks in the kingdom, hosted a colourful ceremony to mark Bahrain’s National Day, the 19th Anniversary of His Majesty King Hamad’s Accession to the Throne and Bahraini Women’s Day. The celebration was attended by the Group CEO Rafik Nayed, Executive Management and employees of the Bank. Commemorating the special occasion, Nayed praised the economic, financial and industrial achievements under the wise leadership of His Majesty, HRH Prince Khalifa bin Salman Al Khalifa, the Prime Minister and HRH Prince Salman bin Hamad Al Khalifa, the Crown Prince, Deputy Supreme Commander and First Deputy Prime Minister.